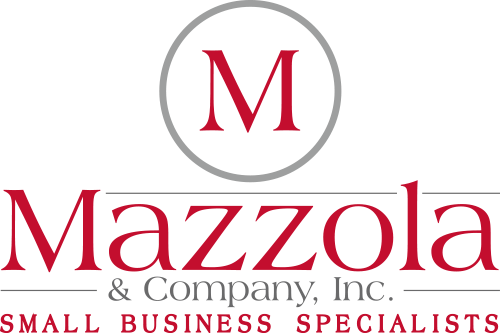 Lisa Mazzola is a licensed Enrolled Agent. Enrolled agents (EAs) are America’s tax experts. They are the only federally-licensed tax practitioners who both specialize in taxation and have unlimited rights to represent taxpayers before the Internal Revenue Service. These tax specialists have earned the privilege of representing taxpayers before the IRS by either passing a comprehensive three-part examination covering individual tax returns; business tax returns; and, representation, practice and procedure, or through relevant experience as a former IRS employee. All candidates are subjected to a rigorous background check conducted by the IRS. EAs advise, represent and prepare tax returns for individuals, partnerships, corporations, estates, trusts and any entities with tax-reporting requirements. EAs prepare millions of tax returns each year. EAs’ expertise in the continually changing field of tax law enables them to effectively represent taxpayers audited by the IRS. What are the differences between EAs and other tax professionals? The EA designation is earned in one of two ways: (1) an individual must pass a difficult three part examination administered by the IRS which covers taxation of individuals, corporations, partnerships, estates and trusts, procedures and ethics. Next, the successful candidates are subjected to a rigorous background check conducted by the IRS; of (2) an individual may become an EA based on employment at the IRS for a minimum of five years in a job where he/she regularly applied and interpreted the provisions of the Internal Revenue Code and regulations. Are EAs required to take continuing professional education? In addition to the stringent testing and application process EAs are required to complete 72 hours of continuing professional education, reporting every three years, to maintain their status. Because of the difficulty in becoming an Enrolled Agent and keeping up the the required credentials, there are fewer than 35,000 active EAs in the United States. EAs are required to abide by the provisions of the US Treasury Department Circular 230. EAs found to be in violation of the provisions contained in the Circular 230 may be suspended or disbarred. Why should I choose an EA who is a member of the National Association of Enrolled Agents (NAEA)? NAEA is the organization of and for Enrolled Agents. The principal concern of the Association and its members is honest, intelligent and ethical representation of the financial position of taxpayers before governmental agencies. Members of NAEA are required to complete a minimum of 30 hours of continuing professional education each year in the interpretation, application and administration of federal and state tax laws in order to maintain membership in the organization. This requirement surpasses the IRS’ required minimum of 16 hours per year.